With wide, tree-lined streets seemingly made for leisurely walks and laid-back bicycle rides, it won’t take you long to traverse the tiny city of Mariehamn, capital of the Åland Islands. But good things are known to come in small packages and Mariehamn is certainly no exception. Whether you have just a few hours, a day, or even longer, there is a lot to discover between the city’s western and eastern harbours. Long summer evenings cast a beautiful glow over Mariehamn, especially when enjoying the view of Västerhamn, the city’s western harbour, and the sleek white sailboats anchored at its docks. Sunshine and blue skies will beckon you to the beach and warm temperatures will ensure the need to cool off with an ice cream. Mariehamn’s airport (MHQ) is just a few kilometres north of the city centre, with short connections to and from Turku, Stockholm-Arlanda, and Helsinki. But when you hear that getting to Åland is half the experience, you can believe it, and a ferry journey on a sunny summer day through the breathtakingly beautiful Turku archipelago, Stockholm archipelago, or from Helsinki or Tallinn will leave not a shadow of doubt in your mind. 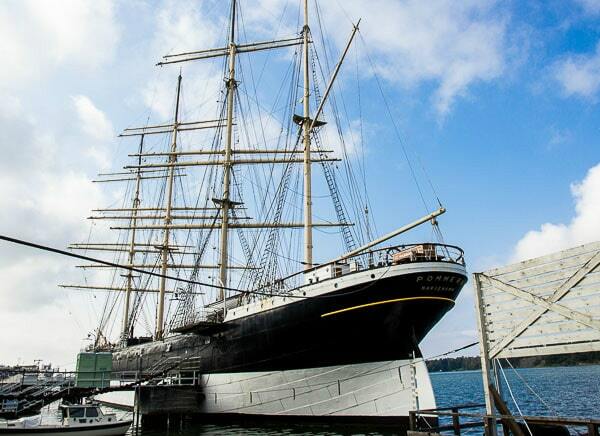 Mariehamn’s roots are in shipping and fishing and the Maritime Museum and Pommern, a four-mast merchant ship built in 1903 which remains in its original state, will take you back through history. Pommern is anchored in front of the museum and offers a unique opportunity to explore the inner workings of a ship. The Maritime Quarter of Mariehamn, in the eastern harbour, is where you can learn about the craft of wooden-boat building, browse or buy local art and handicrafts, and enjoy a pizza at Pub Niska. Take an early morning walk from the western harbour and follow the shoreline south to Korrvik fishing harbour. From there you can take a boat in the summer months to the small island of Kobba Klintar. Pack a picnic and sunscreen and spend the day swimming and soaking up the sunshine at one of Mariehamn’s beaches, Lilla Holmen. Tucked inside a wood-frame house built in 1881 and with a terrace from which to enjoy the great weather, Svarta Katten (Black Cat) is a café serving homemade lunches, cakes, and pastries. Don’t leave without trying their Åland pancake, an Åland specialty made with semolina and traditionally served with stewed prunes or local jam. Anna and Aldo moved from Germany to the Åland Islands in 2009 and run Gelateria Anna & Aldo during the summer months, where Aldo crafts the ice cream himself. Sea-buckthorn is a local flavour favourite but each and every one of these creamy gelatos is worth a taste. ÅSS Paviljongen sits directly on the western harbour and is a scenic spot to enjoy an open-air lunch or dinner, together with a local Stallhagen beer. Making use of local fish and produce, the presentation of your meal almost makes it too pretty to eat but once you start, each bite is literally bursting with flavour. Striking a fine balance between cosy and trendy, Indigo has an impressive wine list, an atmospheric bar, and a menu full of fresh and local ingredients that will leave you spoiled for choice at both lunch and dinner. 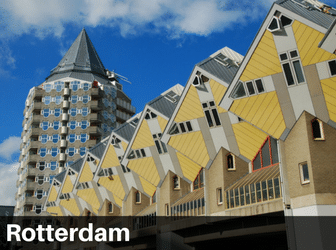 If you are travelling on a budget then Guesthouse Kronan offers rooms at reasonable rates, in a central location, and with breakfast included in the price during the summer months. Bathrooms and showers are shared and you can rent a bicycle directly from the guesthouse. Hotel Cikada is just a short walk from Mariehamn’s ferry terminal and overlooks the western harbour and Pommern. Its pool is a welcome place to cool off after a day spent cycling and at breakfast you can sample Åland black bread and local cheeses. Strandnäs Hotell is two kilometres north of the city centre and in addition to being one of the best hotels in Mariehamn, it has the added advantage of being situated right beside Gelateria Anna & Aldo. Here are additional options for where to stay in Mariehamn. One Response to "Mariehamn, Åland Islands"